We walk across the Forest Service compound, past the warehouse and shop and dumpsters, through the boneyard and into the corral. Climb over the wooden fence, glance out into the cemetery, and keep going. It’s a place to walk, to get into the trees. I call it the scruffy patch of woods. 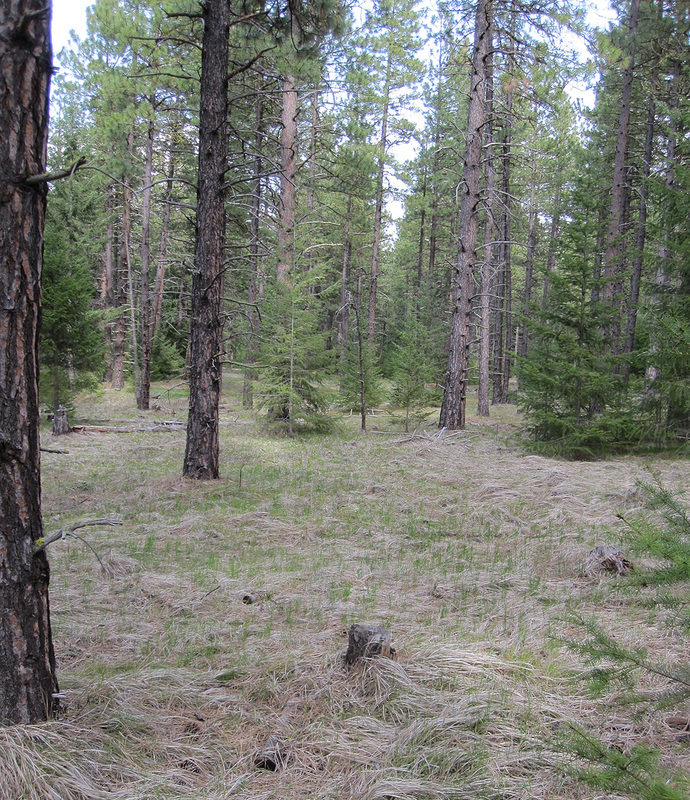 The ponderosa pines aren’t very big, and there are rotting stumps from the last time it was logged. Douglas firs are coming up underneath. You can hear the freeway; wheels of commerce grinding the pavement, city dwellers escaping for the weekend, lots of people in vehicles going from one place to another. You can also hear flickers and chickadees, and your own feet moving through the pinegrass. Don’t think too much about the ticks that might be lurking there, but check yourself when you get home. There are glacier lilies and spring beauties. There are elk tracks in the damp soil. The air is warm and soft without the wind biting through the jacket. It’s not the Big Wild, not the steep ridges and rocky spines of the mountains. It’s not pristine. Those places are still covered with snow, and inaccessible to a person whose heart isn’t able to carry her there yet. But the walks are helping the heart grow stronger, and I am grateful to have scruffy woods close to home. Grateful to be upright and breathing. Grateful for spring, and friends to notice it with. 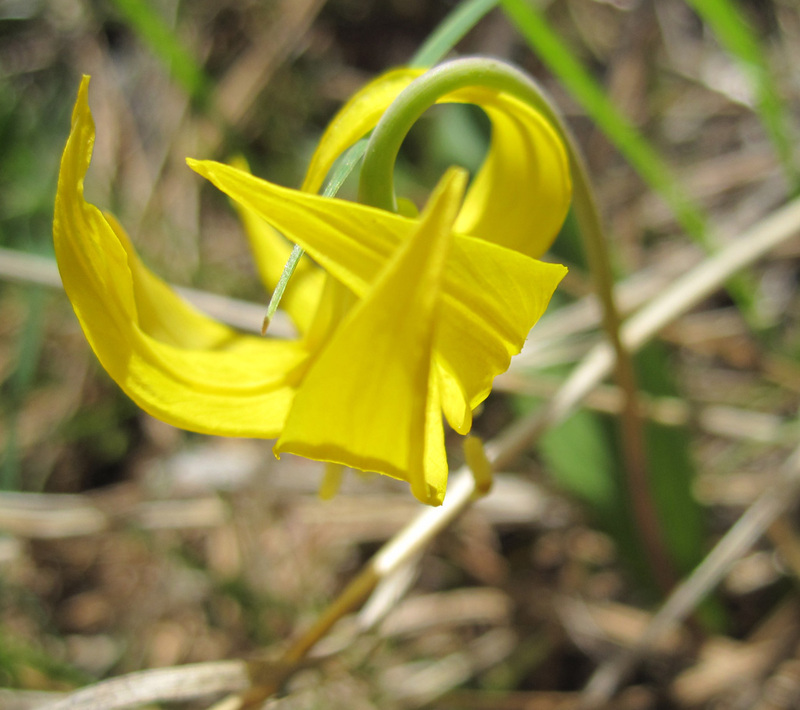 Glacier lily, taken by new camera!